I will be participating in the Art Outside event on Sunday, May 18th, 2014.
Who would,have guessed????? 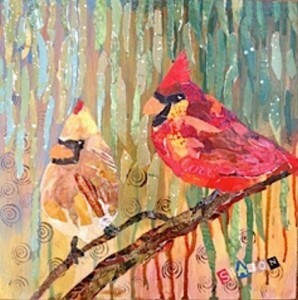 This weekend I was invited to participate… as in…..show and sell…. 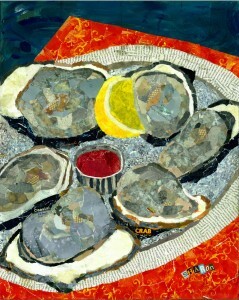 my collages at the American Visionary Arts Museum BAAZART this coming November. I am in shock and totally thrilled to have been selected…..there is a Preview party on Friday the 23rd of November and the show is Sat the 24th, 10-5…. Stop in and take a peek! Tonight is a wonderful, rainy evening at out home in the Otterbein area of the Inner Harbor and I am sitting on the deck, under our new awning enjoying the soft sound of the rain as I sip my wine…….. doesn’t get any better than this….